Slice the fruit over a large bowl, collecting the juices. Combine sugar, cornstarch and salt together in s a small bowl; then add to fruit. Toss to coat. 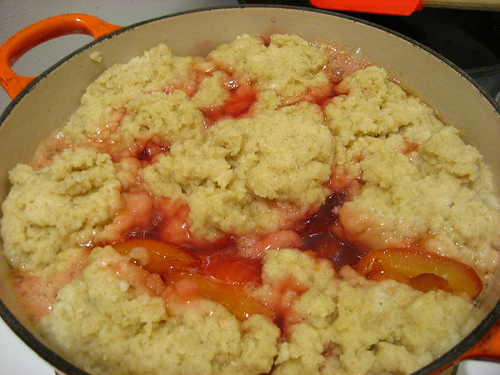 Pour fruit and juices into a Dutch oven, with a tight lid. Let stand 15 minutes. 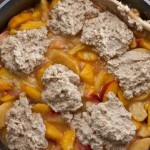 Heat the fruit to a low simmer over medium low heat, gently stirring occasionally to prevent juice from sticking. Simmer until slightly thickened, about 2 mins, then remove from heat. 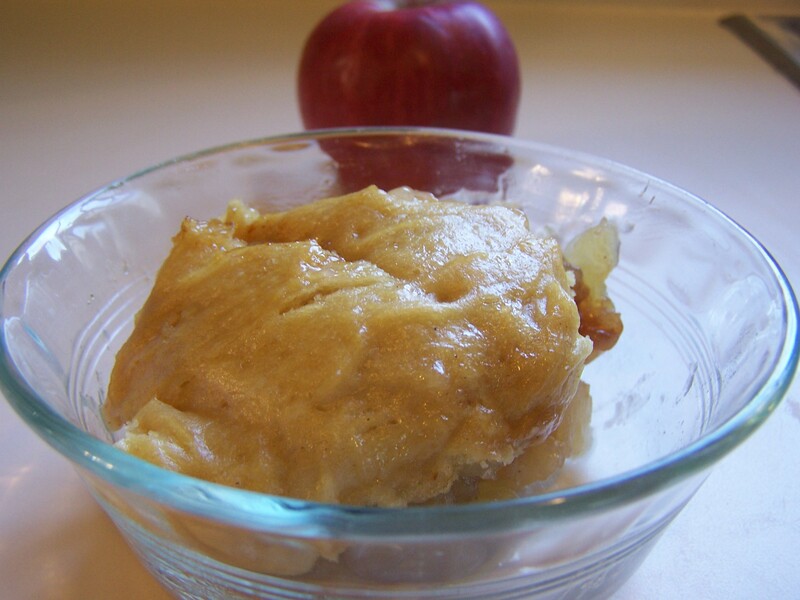 Whisk the dry ingredients together in a bowl. Cut in better with your fingertips, until it’s the size of peas. Add buttermilk, stir until blended forming a wet dough. 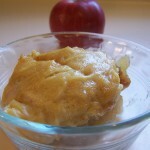 Place the dough in 8 portions over the fruit, distributing evenly. Heat fruit to a gentle simmer, over low heat. Cover with tight fitting lid. 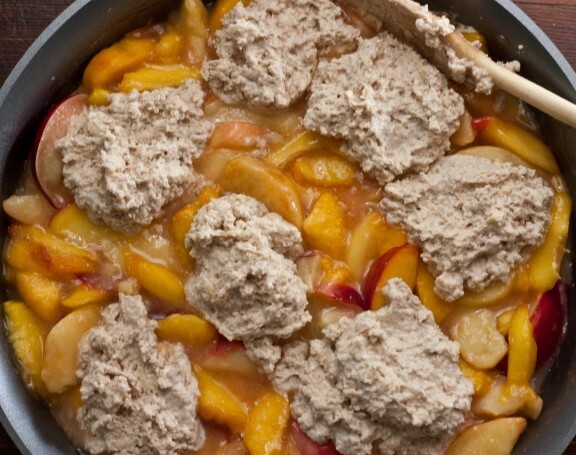 Simmer until dumplings are puffy and cooked through, 25 minutes. Remove cover, let cool 15 mins. OMG, I can’t wait till I can make this It would be a hit at our Family Reunion. Thanks for sharing..